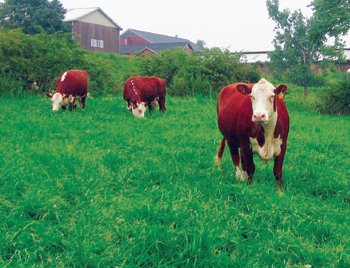 Business Detailed: A Choice You Can Feel Good About cattle-on-green-pasture-mack-brookFood labels are packed with information, but some words can be confusing, if not downright misleading. A dozen eggs in a carton boasting the statement “farm fresh,” for example, have probably not come from anything that looks remotely like a farm. A dairy cow is far from “happy” at an industrial facility where she never grazes on pasture. And “natural” is not synonymous with “humane”-in fact, the former term refers only to meat processing, not the animals’ lives. The Animal Welfare Approved label has nothing to hide. Animal Welfare Approved’s standards are the most rigorous and progressive animal care requirements in the nation, as recognized by the World Society for the Protection of Animals for two years running now. Given only to family farms, the Animal Welfare Approved label verifies that participating farms are putting each individual animal’s comfort and well-being first. The program benefits all of us with the simple understanding that our own best interests are intrinsically linked to animals and the environment. Here are some things you can do to make a difference: * Always look for Animal Welfare Approved products at your grocer, farmers’ markets and restaurants. * Ask for Animal Welfare Approved products when they’re not available. Let grocers know the program is free for their farmers to participate in. Here are two sample letters you can download and distribute: a letter to a retail market and a letter to a restaurant. * Use customer comment cards to show that you care about farm animal welfare and to inform others about the way farm animals are treated by conventional operations. * Follow us on Twitter and fan us on Facebook and ask your friends to do the same! Changing your Facebook status to ask your friends to fan us is a simple way to help get the word out.